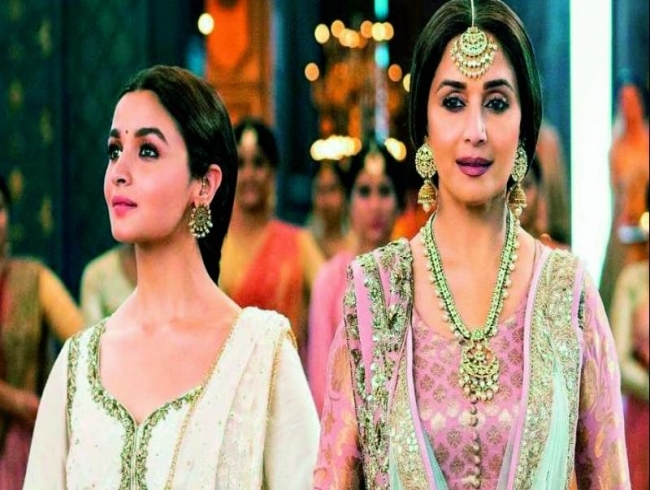 Mumbai: A recent report by an online portal declared that Alia Bhatt and Madhuri Dixit Nene would be locked in a dancing jugalbandi (a dance competition) in Abhishek Varman’s Kalank. However, when asked if the report was true, Alia vehemently denies it and also shares that she will not be shaking a leg with Madhuri in the film. “I dance in the film, but not with Madhuri ma’am. Am I mad to dance with her?” she says incredulously. For Kalank, Alia had to learn classical dancing from scratch. “I am not very confident about my dancing. I spent a couple of days with the legendary Pandit Birju Maharaj learning Kathak. I am really grateful for that opportunity.,” says Alia.